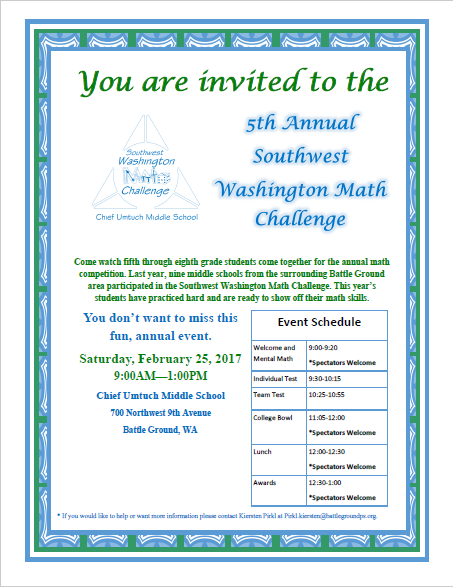 Chief Umtuch Middle School will host the 2017 Southwest Washington Math Challenge on Saturday, Feb. 25 from 9 a.m. to 1 p.m. at Chief Umtuch Middle School. 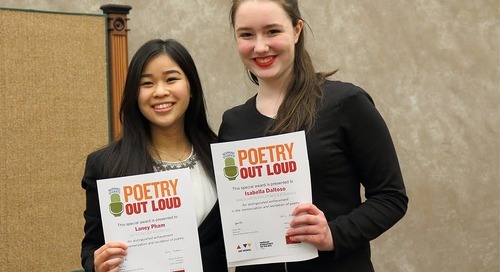 The fifth annual competition features both individual and team events for students in fifth through eighth grades. Teams from all over the Battle Ground Public Schools district are participating in the challenge. 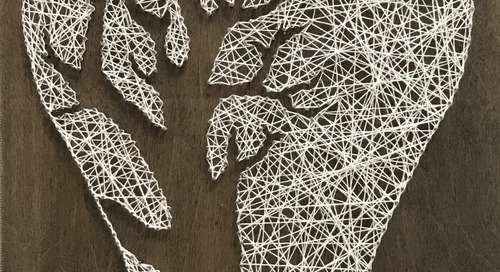 Parents and spectators are welcome to watch events scheduled 9-9:20 a.m. and 11:05 a.m.-1 p.m. 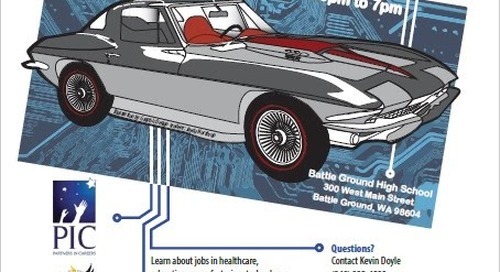 The event will be held at Chief Umtuch Middle School, 700 NW Ninth Ave., Battle Ground.